In California and Poway, there is specific law regarding property settlements and division. The law in San Diego only requires that the settlement of debts and assets be in accord with the Family Law Code however the parties can deviate if they agree. This is also fact specific to each case. This is precisely where the complexities and misunderstandings can occur which can complicate the case and make settlement more difficult if one side has unrealistic expectations regarding the outcome in San Diego Superior Court. These cases are fraught with difficulties when it comes to figuring out the type of each property—community, quasi-community, or separate. This classification is essential for the rightful disclosure and division of property. For instance, many applicants do not know that apart from real estate and household furniture, appliances, and furnishings, jewelry pieces, antiques, and art and coin collections are also divided amongst the parties involved in the settlement arrangement. On the other hand, student loans, support arrearage like child or spousal support from other relationships are regarded as separate property and hence not liable to be divided amongst all the parties. Likewise, assets acquired by way of gifts or inheritance are also considered as separate property. There also exist numerous complexities and misunderstandings regarding whether and how to divide credit card debts, mortgage payments, and home equity lines of credit. Considering that failure to disclose a property leads to an omitted asset that can later be divided at the discretion of the Court, it is imperative that an experienced and competent property settlements and division attorney in Poway reviews the settlement arrangement before it becomes a Judgment. The expertise of a North County property settlements and division attorney ensures that not only are your rights protected but all parties involved in the settlement are also spared adverse and unforeseen tax liabilities arising out of unequal property distribution. The law firm of Doppelt and Forney, APLC is located in San Diego and within 15 miles of Poway. 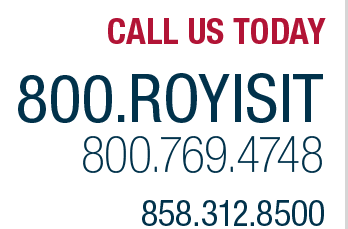 Roy M. Doppelt is an experience family law litigator and has represented clients in property settlements including division of assets and debts since 2005. Their office works closely with forensic CPA’s, vocational evaluators, child custody evaluators, and others if this is needed for the legal representation. It is no wonder that Doppelt and Forney, APLC has earned an A+ rating [valid as of the date of the posting of this article to the website] with the San Diego Better Business Bureau which also includes the Poway area. Their office is conveniently located off the I-15 at Bernardo Center Drive and is an easy commute from Poway. They not only provide free consultation for up to 30 minutes but also do not charge additional fees for standard court fillings in San Diego. Furthermore, they work closely with professional accountants and evaluators to ensure that they understand the financial details of your case minutely to be able to do their best possible job for you. Their bar-accredited referral services have been recognized by a number of independent authorities like the Marquis’ Who’s Who in American Law [2011-2012]. You can confidently leave the headaches of your property settlements and division case to them and be assured that your case will have the most equitable outcome.